Anna (Inga) Sannes ISAACSON was born in Jun 1892 in Little Falls, , Minnesota. She died on Jun 19, 1986 in Seattle, King, Washington. Parents: Isaac ISAACSON and Anna. Spouse: Napoleon J LAURINE. Napoleon J LAURINE and Anna (Inga) Sannes ISAACSON were married about 1914 in Seattle, King, Washington. Children were: Howard Joseph LAURINE, Ned David LAURINE. Ella ISAACSON was born in 1890. Parents: Isaac ISAACSON and Anna. George ISAACSON was born in 1905. Parents: Isaac ISAACSON and Anna. Henry J ISAACSON was born in 1894. Parents: Isaac ISAACSON and Anna. Ida ISAACSON was born in 1889. Parents: Isaac ISAACSON and Anna. Spouse: Anna. Isaac ISAACSON and Anna were married about 1888 in , , Norway. Children were: Ida ISAACSON, Ella ISAACSON, Anna (Inga) Sannes ISAACSON, Henry J ISAACSON, Josie B ISAACSON, Minnie ISAACSON, Tillman ISAACSON, George ISAACSON, Williard ISAACSON. Jeanne ISAACSON was born in 1928. Parents: Tillman ISAACSON and Genaeve. Josie B ISAACSON was born in 1896. Parents: Isaac ISAACSON and Anna. Minnie ISAACSON was born in 1899. Parents: Isaac ISAACSON and Anna. Pauline ISAACSON was born in 1924. Parents: Tillman ISAACSON and Genaeve. Tillman ISAACSON was born in 1900. Parents: Isaac ISAACSON and Anna. Spouse: Genaeve. Tillman ISAACSON and Genaeve were married in 1923. Children were: Pauline ISAACSON, Jeanne ISAACSON. Williard ISAACSON was born in 1907. Parents: Isaac ISAACSON and Anna. Spouse: Jacques AUBUCHON. Jacques AUBUCHON and Marguerite ITASSE were married about 1670. Children were: Marguerite AUBUCHON. Spouse: Elizabeth LUTZ. Charles JACKSON and Elizabeth LUTZ were married about 1875. Children were: Floyd JACKSON, Sarah E. JACKSON, James R. JACKSON. Floyd JACKSON was born about Jun 1875. Parents: Charles JACKSON and Elizabeth LUTZ. James R. JACKSON was born about Jun 1880. 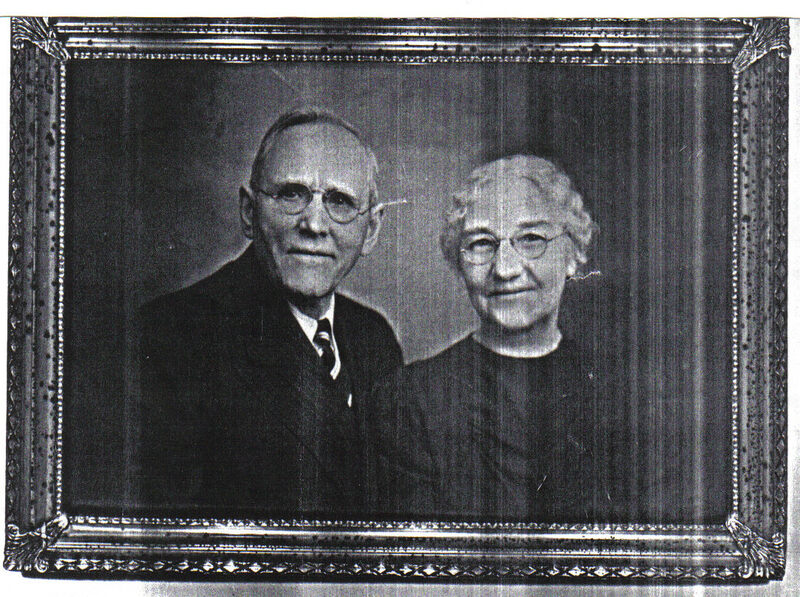 Parents: Charles JACKSON and Elizabeth LUTZ. Sarah E. JACKSON was born about Dec 1879. Parents: Charles JACKSON and Elizabeth LUTZ. Kristin Theresa JACOBS was born in 1989. Parents: Murray JACOBS and Theresa "Terri" Ruth KISS. Spouse: Theresa "Terri" Ruth KISS. Murray JACOBS and Theresa "Terri" Ruth KISS were married in 1987. Children were: Kristin Theresa JACOBS. Spouse: unknown. Children were: Mollie C JACOBSON, Alma JACOBSON. Alma JACOBSON was born in 1889. Parents: JACOBSON and unknown. 1930 Ladysmith, Rusk, Wisconsin states that Mollie was born in Michigan age 50 s/b 49 Parents: JACOBSON and unknown. Spouse: Nils or Nels Oles Kettleson or KITTELSON. Nils or Nels Oles Kettleson or KITTELSON and Mollie C JACOBSON were married about 1904 in Middleton, Dane, Wisconsin. Children were: Evelynn Anneta Kettleson or KITTELSON, Nels Bud Kettleson or KITTELSON, Malber Glenn KITTELSON, Emela Kettleson or KITTELSON, Wanda May Kettleson or KITTELSON, Walter Juan Kettleson or KITTELSON, Jeanette Amanda Kettleson KITTELSON. Spouse: Marie Madeleine BOURGERY. Charles JACQUES and Marie Madeleine BOURGERY were married on Dec 2, 1689 in Lachine, Quebec. Appolonia JAICH was born about 1612 in Tuningen, Wurtemburg, Germany. She died on Dec 31, 1669 in Tuningen, Wurtemburg, Germany. She was buried in Jan 1669/70. Spouse: Hans GLOCKLER. Children were: Hans GLOCKLER\GLOCKHLER. Spouse: Ulrich STEINER. Ulrich STEINER and Anna JAKOB were married on Mar 13, 1663/64 in Langnau, Bern, Switzerland. Children were: Johannes STEINER. Marie JALLAIS was born about 1653. Spouse: Robert LECLERC. Robert LECLERC and Marie JALLAIS were married on Jul 9, 1680 in Quebec. Children were: Pierre LECLERC. Spouse: Francoise LEVEQUE. Children were: Julien JAMEIN. Julien JAMEIN was born in 1634 in Nantes, Bretagne, France. He died on Mar 3, 1703/4 in Quebec, Quebec, France. Parents: Jean JAMEIN and Francoise LEVEQUE. Spouse: Marie REPOCHE. Julien JAMEIN and Marie REPOCHE were married on Sep 11, 1664. Children were: Marie JAMEIN. Marie JAMEIN. Parents: Julien JAMEIN and Marie REPOCHE. Spouse: Jacques HERVIEUX. Jacques HERVIEUX and Marie JAMEIN were married in 1701. Children were: Paul HERVIEUX. Spouse: Barney PAWLING. Barney PAWLING and Elizabeth JAMES were married in 1754. Children were: Josiah PAWLING, Isaac PAWLING, John PAWLING, Rebecca PAWLING, Elizabeth PAWLING. Spouse: Roy HOY. Children were: Louise HOY, Mary HOY, Linda HOY, Jeanie HOY. JANE was born about 1611 in Zurich, Switzerland. Spouse: John MYLIN. Children were: Jane MYLIN. Elliney JANE was born on Jan 16, 1866. She died on Jan 3, 1957 in Sunnyside, Washington. Spouse: Patrick DEGRAND. Children were: Rebecca DEGRAND, Scott DEGRAND. Spouse: John Jr. SULLIVAN. Children were: Patricia Lee SULLIVAN, Pamela SULLIVAN, Teresa SULLIVAN, Michael SULLIVAN. JANIE was born in 1942. Spouse: John Jr. SULLIVAN. John Jr. SULLIVAN and JANIE were married in 1961. Children were: Patricia Lee SULLIVAN, Pamela SULLIVAN, Teresa SULLIVAN, Michael SULLIVAN. Francoise JANOT was born on Jan 21, 1657/58. Parents: Marin JANOT and Francoise BESNARD. Spouse: Antoine BAZINET. Antoine BAZINET and Francoise JANOT were married on Aug 6, 1674. Children were: Catherine Anne BAZINET. Marin JANOT was born about 1627. He died on Jul 24, 1664 in Noyel, Quebec. [family.FTW] Parents: Robert JANOT and Jean DEPIENNE. Spouse: Francoise BESNARD. Marin JANOT and Francoise BESNARD were married on Aug 30, 1655 in Mt. Noyel, Quebec. Children were: Francoise JANOT. Spouse: Jean DEPIENNE. Children were: Marin JANOT. Spouse: David Wampole SELLERS. Children were: Edwin Jaquett SELLERS. Clemence JARRY was born on Feb 5, 1656/57 in Montreal, Quebec. She died on Jan 18, 1716/17 in Montreal, Quebec. Parents: Eloi JARRY-LAHAYE and Jeanne MERRIN. Spouse: Andre RAPIN-LAMUZETTE. Andre RAPIN-LAMUZETTE and Clemence JARRY were married on Nov 25, 1669 in Montreal, Quebec. Children were: Marie Madeleine RAPIN. Spouse: Joseph GAULTIER. Joseph GAULTIER and Clemence JARRY were married on Aug 16, 1699 in Montreal, Quebec. Spouse: Francoise CHEVALIER. Children were: Eloi JARRY-LAHAYE. Eloi JARRY-LAHAYE was born about 1630 in St Martin d'Ige, Perche. He died in 1659. [family.FTW] Parents: Eloi JARRY-LAHAYE and Francoise CHEVALIER. Spouse: Jeanne MERRIN. Eloi JARRY-LAHAYE and Jeanne MERRIN were married on Nov 9, 1654 in Montreal, Quebec. Children were: Clemence JARRY. Spouse: Roger HURRELL. Children were: Dianna HURRELL, Scott HURRELL, Adam HURRELL. Spouse: Jean ST. MARTIN. Children were: Jean ST. MARTIN.